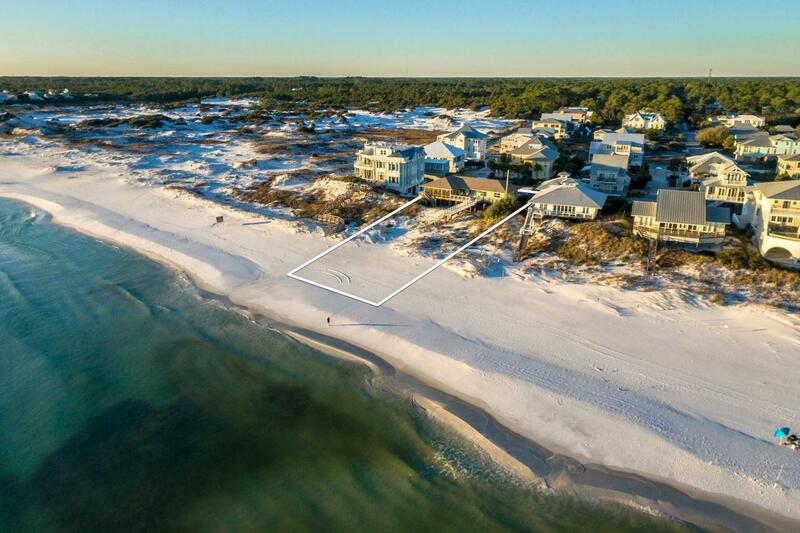 RARE OPPORTUNITY TO OWN GULF FRONT IN GRAYTON BEACH! Spanning an impressive 100' of enviable waterfront real estate and perfectly positioned only steps away from the pristine Grayton Beach State Park, with nearly 2000 acres of untouched beauty, 79 Lupine is one of only seven coveted, gulf front estates in the highly sought-after beach community of Grayton Beach. Recently renovated and newly furnished, the 4BR/3.5BA home exudes casual coastal elegance throughout its interior. The open floor plan and generous outdoor space is ideal for quintessential beach gatherings. The great room features a large living/dining room combination that seamlessly blends into the updated kitchen equipped with stainless steel appliances, new countertops, and custom cabinetry. An oversized.....enclosed porch along with an equally generous sized open deck, and private beach walkover overlook the sugar white sand and emerald green gulf waters and provide the perfect setting for admiring nightly stunning sunsets. The home's expanse of windows maintains the captivating views from almost every room and flood the home with an abundance of natural light. Although the home is move-in ready as it currently exists, the large lot does provide ample room for expansion, addition of a pool, or the option of starting from scratch and building your personal dream home...the possibilities are infinite. The unobstructed gulf views together with its unrivaled location, timeless coastal appeal, and endless potential for advancement make this property a MUST SEE! Grayton Beach, often revered as the original beach community, is nestled between one, nearly half mile stretches of protected beachfront to the west, and another one mile stretch to the east, both of which are part of the Grayton Beach State Park system. This intimate beach community is ----home to Red Bar, one of the most iconic destinations along Scenic Highway 30A. Along the eastern boundary of Grayton Beach is Western Lake, one of Northwest Florida's naturally occurring coastal dune lakes.